Take a step back in time! Spencerport Heritage Day is in its third year. This event is the official August event on the Ogden Bicentennial/Spencerport Sesquicentennial celebrations calendar. It is a day of celebrating history and looking back at how we used to live and what items looked like in the past. We have spinning and yarning demonstrations, a variety of displays, historic games and activities to suit people young and old. We will have bands playing all day. The Golden Eagles String Band will be entertaining us with their Folk songs and Erie Canal songs from 10am-12pm. From 1pm-3pm, The Crawdiddies, an Americana Band will be performing for us. An American Labor Story on the 200th Anniversary of the Birth of the Erie Canal. One day, walking on the historic site of the opening of the Erie Canal in Buffalo, New York, I imagined I heard the voices of the 9000 ditch diggers who began excavating the Erie Canal two hundred years ago on July 4th, 1817. Some nights, if only in my dreams, I woke up to their plea to lend my ears to the nightmare thousands of young immigrants lived together as they authored with shovels, hands, and muscle, the world-famous Erie Canal. 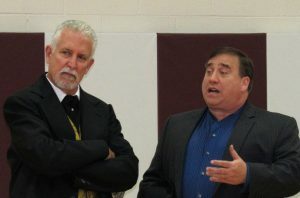 Now, after two centuries, they were asking if anyone would listen to their story? No one cared to listen two hundred years ago. Will the passing of time make any difference? Anniversaries let us think of the dead. How often we think of our deceased mothers and fathers. For a moment, they are alive again. Oh, how much we wish we could freeze that moment in history. Thomas Wolfe in Look Homeward Angel cried out at the end of his novel saying, “O Ghosts, Come back again.” How much he wanted to return to his own past. Wherever our ghosts reside, that is a sacred part of us. Ghosts are eternal. And on this day, July 4, 2017, the 200th anniversary of the birth of the Erie Canal, we may be able to realize how much we care about those ghosts of the Erie Canal and those who made it happen two centuries ago. The original Erie Canal was completed in 1825. There are only a few pieces of this canal left, but its spirit lives on in its modern version. And this life force is still flowing through some forty or fifty little port towns, large cities along the canal, as well as though mountains, rivers, and the countryside of Up State New York. Today, the Erie Canal is not just one Erie Canal. It is made up of many Erie Canals. Each little canal port has its own Erie Canal, its own history, Its own founders, and indeed, its own ghosts. And there is a prevailing spirit that runs through it all. ; a conflicted force of inhumanity against humanity. Perhaps this 4th of July will awaken the story of the thousands of workingmen who jabbed, jogged, nudged, scoped, shoveled, grubbed, and poked though swamps, mountains, escarpments, dark and terrifying forests to build this river of hope. Since there were no unions working conditions were horrific. Awakened at three A.M. the diggers, working with only their bare hands and a few shovels, worked fourteen to sixteen hours a day. Many fainted from exhaustion as they shoveled through dismal swamps full of poisonous snakes and leeches which crawled up their legs. The contractors fed them whiskey hourly to keep them working and in the hot sun they became seriously ill. The building of the Erie Canal was a million steps of inhumanity for most of those who did the heavy lifting. These men lived along the canal in small shanties, in some cases no larger than dog kennels and some lived like cattle in a barn. In two hundred years no dirt grubber’s face has come down through the centuries to remind us of the laborers who helped build this historical monument we now call the Erie Canalway National Heritage Corridor. For years their names have been locked away in New York State Historical Archives. Nowhere along the canal is there a plaque, or marker, or wall with the names of those who excavated the canal. There are no statues, no portraits, no images of them anywhere. There are no places along the interstate 90, from Buffalo to Albany, where we can stop to have a cup of coffee and read about the ghosts of those who gave so much of their lives for this state and the nation. When the Erie Canal was completed in 1825 there were big celebrations in Buffalo and New York City. Many speeches were given praising the contractors, the engineers, and others who were also the creators of the Erie Canal. No public words recognized the ditch diggers that day. Or, any day. On this 200th anniversary of the birth of the Erie Canal they will also be little said of those who dug the Erie Canal. But there are labor unions, activists, labor organization, colleges, and educational organizations all over the country that are fighting their hearts out to develop a moral social vision for labor which can bring a bright light into the story of labor in America. So, on this coming July 4, 2017, the anniversary of the Erie Canal, many of us will walk along those historical waterfronts of our own Erie Canal and think about the ghosts of our own Ole Erie. Perhaps we may hear their voices, if only in our dreams. Then maybe, just maybe, our ghost will give us a message. And maybe, just maybe, some important people will hear this message, and just maybe, a new age for American labor will begin. O Ghosts. Come back again. On June 26 and 27th, Clinton’s Ditch play will be performed at Divaney’s in Weedsport and on June 29 and 30, at Giardina Park in Montezuma. Show time is 7:30 P.M. at both places. 200 years ago, the State of New York began construction of the Erie Canal and on August 4th, 2017 under the moonlight Rochester Community Inclusive Rowing will row all night, 363 miles – equivalent to the length of the Erie Canal to fund an inclusive rowing center to serve veterans and people with disabilities. Rochester Community Inclusive Rowing is a charitable 501c3 committed to collaborating across the entire community to stimulate rowing for all and to remove barriers to the water for Veterans and other people with challenges or disabilities. 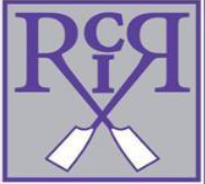 Beginning with the generosity and collaboration of Pittsford Crew and the Pittsford Indoor Rowing Center, RCIR was able to introduce over 15 veterans from Rochester as well as the greater Utica area to sculling from January through April 2016. In July, the visitors from the Mohawk Valley then invited RCIR to an immersion day of sculling with veterans at Camp Sitrin in New Hartford NY. This activity had spawned a $21,000 grant application to expand the number of sculling shells in 2017 thereby enabling RCIR to offer adaptive sculling week days in the Mohawk Valley region. All of this triggered by the largesse of Pittsford Crew and the PIRC. In addition to serving Veterans with disabilities in 2016 RCIR expanded the populations of rowers to include youth with various autistic challenges as well as our initial youth the with the challenges of cerebral palsy. The Canal is open and in celebration of the 200th anniversary of the beginning of construction of the Erie Canal, The New York State Canal Corporation has announced that there will be no fees for recreational boaters this season. Now we want to emphasize that the normal fees are quite nominal, ranging from $50 to $100 depending on length of boat for a season’s worth the ability to travel the canal and utilize the systems more than 50 locks dozens of lift bridges and more than 524 miles of navigable waterways. 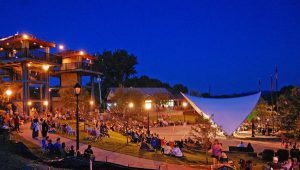 We’re excited to announce the 2017 Riverlink Summer Concert Series schedule! Enjoy Amsterdam’s waterfront this summer….on the water with Down by the River Kayaks, at one of the great Southside restaurants, on the MVGO or at River’s Edge at Riverlink. On Friday June 9 from 4 p.m. to 9 p.m. at Riverlink Park there will be food, music, a water ski show, free kayaking and fireworks! On Saturday June 10 from 10 a.m. to 4 p.m. at the Yankee Hill Lock in historic Fort Hunter there will be food, music, pony rides & giveaways. Blount Small Ship Adventures can take you to places that no other cruise line can go. This year in celebration of the 200th Anniversary of the construction of the Erie Canal they will be sailing 8 times through the Canal. Don’t miss this opportunity to experience something very special. With ports of call including Oswego, Buffalo, Sylvan Beach, Amsterdam and Troy, the opportunity to travel with less than 100 guest on board could best be described as “Cruising on your friends Yacht” Taking a cruise with Blount Small Ship Adventures will amaze all your senses, from the fine dining, to the casual atmosphere, that one will experience any one of the itineraries’ available on Blount will not disappoint! 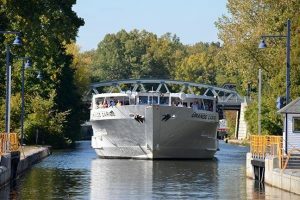 The Great American Waterways Cruise and the Lock’s Legends & Canals of the Northeast are the two cruises that Blount is offering in 2017 that include ports within the Erie Canal Corridor. Blount Small Ship Adventures is a supporter of the NYS Canal System and an ongoing member of Canal NY. The only private sector organization dedicated to the promotion of the Canal System and the businesses within the Canal Corridor. Each year prior to the opening of the Erie Canal for the Navigation Season communities around the Canal Corridor celebrate the canal by planning a weekend of events that focus on the cleaning up or improving the areas around the Canal. 2017 begins the celebration of the 200th year of the canal and with the Navigation Season here Lyon’s is ready to welcome visitors to their community. The Corning Glass Museum Glass Barge is coming to the Erie Canal. The museum has taken their mobile hot shops across the globe. This all-new world class performance venue brings floating Hot Glass Demos to the Museum’s New York State neighbors along the Erie Canal and its connected waterways. In 2017, the Glass Barge will be featured at three public waterfront events on the Erie Canal to help celebrate the kickoff of the canal’s bicentennial. The Corning Glass Museums, Hot Glass Demo Team will be providing free public hot glass programming including daily glassmaking demonstrations with invited guest artists. Join us at the 2nd annual Seneca Falls Canal Fest. This year’s event will be held on July 7th, 8th and 9th. at the Canal Harbor in Seneca Falls NY. Seneca Falls has set out to recreate the events that were first held in the early 1960’s when thousands of visitors and what seemed like 100’s of boats crowded the Canal Harbor. Last year attracted more than 10,000 visitors who attended the three-day event and this year there are even more events scheduled and more promotion planned to ensure an even larger event.